May 19: Rock Against Gentrification! 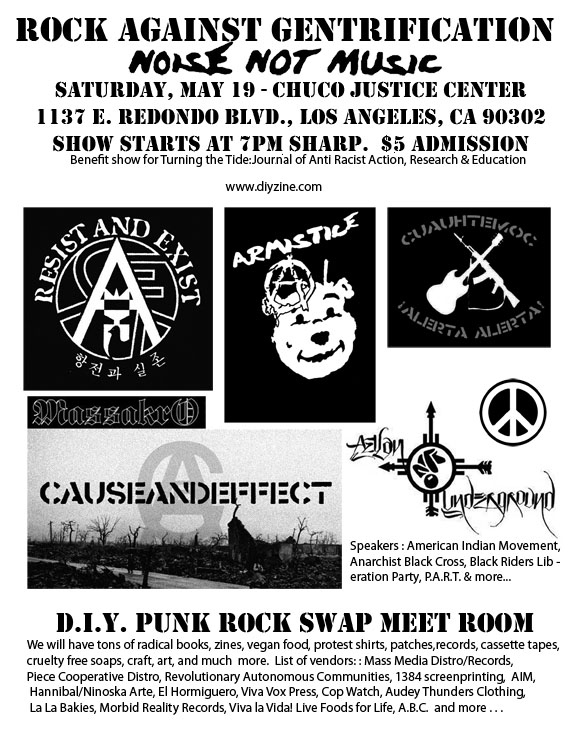 The LAZF is excited to be tabling at this benefit at Chucos Justice Center in Inglewood. We had a great time at FMLY Fest there last year, and we’re big fans of the space. We can’t wait to check out all that the DIY Punk Rock Swap Meet Room has to offer! For directions and other details, consult the Facebook invite.